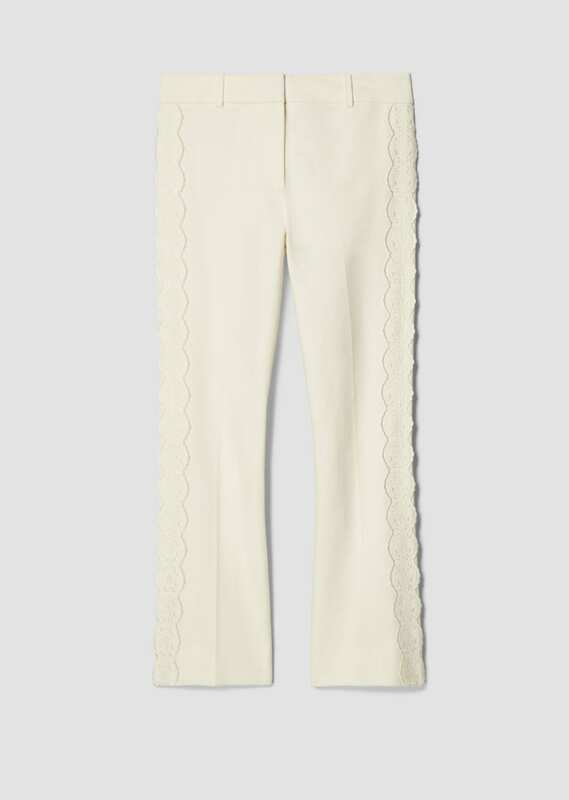 Cropped soft white cotton twill trouser with tonal scalloped embroidery appliqué details along the outseam. 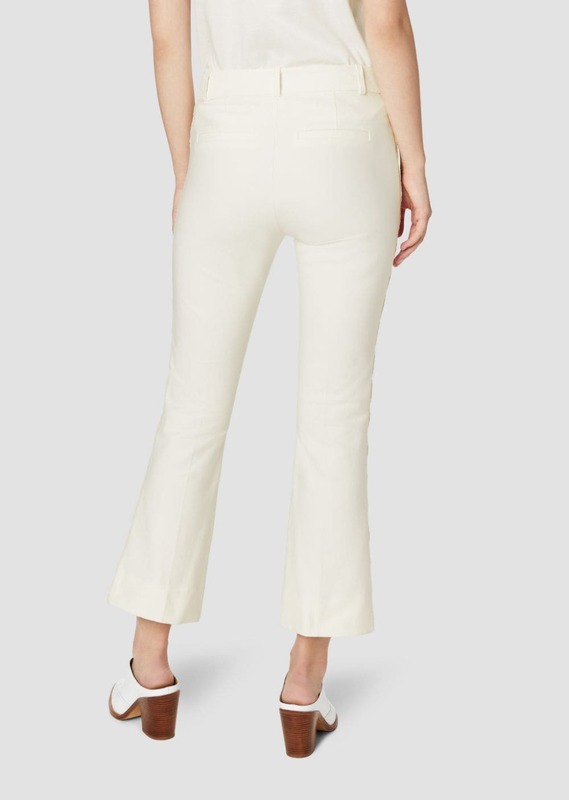 Zip fly with concealed closure, flat front, tonal belt loops. Tonal stitching.